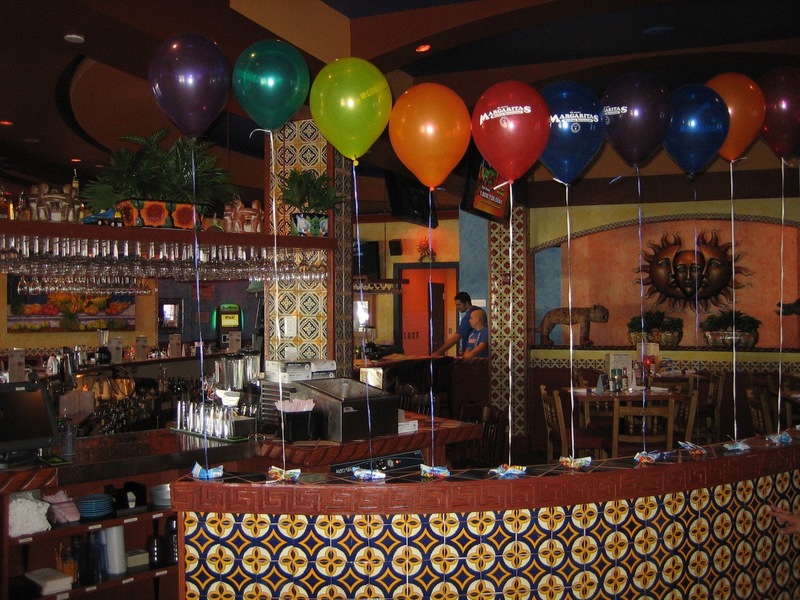 I was pumped when I heard Margaritas would be opening in Framingham. 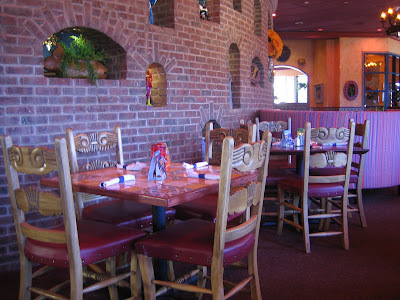 Finally - a high quality family-friendly sit down, chips & salsa, and Corona beer kind of Mexican restaurant in the western suburbs of Boston! Although there are a fair number of burrito joints around, and seemingly a surge of viable fish tacos outlets, there still aren't enough good, clean Mexican restaurants in the area. We had a chance to visit the recently opened Margaritas location in Framingham and I'm pleased to report the restaurant delivers the goods. We were greeted at the door and promptly seated by a friendly host and hostess. The restaurant was empty when we arrived yet nearly full when we left. The bar area looks festive - definitely a good spot to hit for happy hour or after a long day battling nearby Shopper's World. But we were with the kiddies, as were most of the other people at the restaurant. The only remaining visual clue I noted from the former inhabitant was the unique arching walls that separated the dining room from the bar. They've been covered up with faux brick and Mexican tile, and the first impression is impressive. It's clear they've put some money into the build out of this location which I was told is the largest of their 22 locations in New England. I've got to think renovating a building to achieve this aesthetic takes work in New England. A lot of the materials have to be imported, but I think the effort is worth it as it makes the dining experience more immersive and memorable. I thought there were a lot of employees roaming around the restaurant and a number of them had "Training Team" embroidered on their shirts. They opened less than a week ago. One of the managers who stopped by during our visit was in town to help get the location off the ground. As a restaurant group they're clearly at the point where they're getting this down to a system. 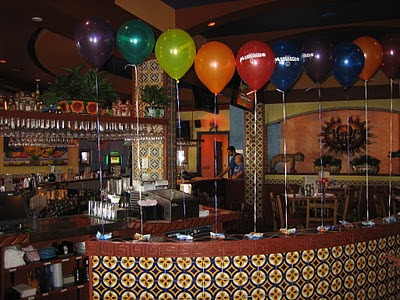 As a point of comparisons to other regional chains there are more than twice as many Margarita's locations as Piccadilly Pub restaurants at this point, and there are over one hundred 99 Restaurants. Our friendly waitress - perhaps new on the job - greeted us and took our drink order. Though they have an extensive bar menu, plentiful amounts of the aforementioned Corona beer, and margaritas the restaurant is named for, we opted for tap water. The kids menu includes a soft drink and dessert for just $4.99. There was some ambiguity whether kids beverages other than soft drinks were included in the kids meals (they got chocolate milk and lemonade) so we asked and our waitress said there'd be no additional charge. We got their orders going right away while we perused the menu. I know the suspense must be killing you so let's get right to a review of the all-important chips and salsa. In my opinion they were good, but not great. The chips were light and warm but could have been a little fresher. I sensed a slight staleness that made me wonder whether they may have been around for a while. The salsa was good/very good. I liked the consistency but sensed a little more vinegar than I'd like. I mentioned this to the manager who stopped by to chat and he said there wasn't any vinegar in their salsa. He said it was probably the diced cherry peppers I was picking up on - an interesting inclusion. Pro Tip: The salsa was quite spicy and if you like salsa more on the mild side ask for the Salsa Fresca. I understand it's milder and a little drier in consistency. The menu (click HERE to see their various menus on their website) offers a mix of traditional Mexican dishes and some items and ingredients you won't find in most Mexican restaurants like buffalo chicken, french fries, and burgers. I didn't mind seeing these options on the menu because they had my favorites like Burritos, Chimichangas and Chile Rellenos. 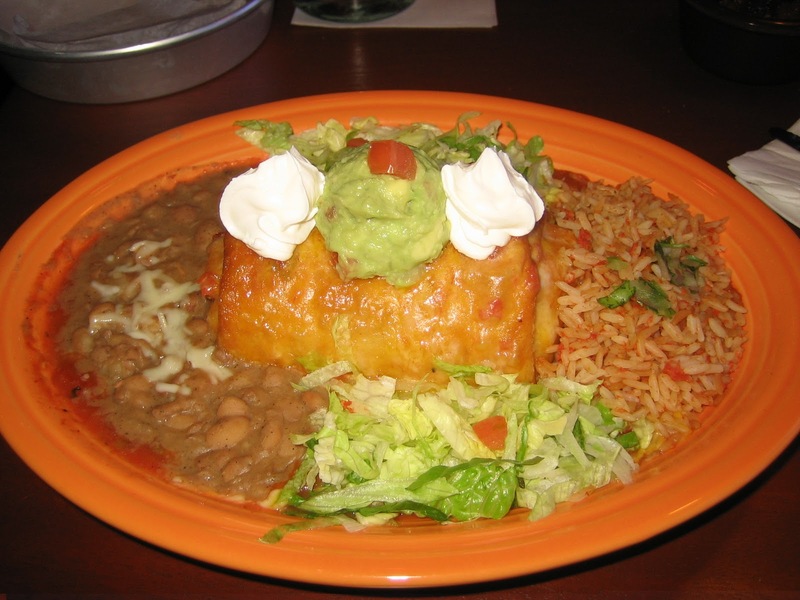 The Chimichanga delivered in a big way. The key thing I'm looking for is that the outside of the tortilla be just a little crispy but it needs to be soft and moist on the inside. I'm also looking for the Chimichanga to retain its roundness (like a cylinder) rather than being flattened out (like a rectangle) as it unfortunately sometimes does at some restaurants. They cover theirs with red enchilada sauce and melted cheese and include sour cream and guacamole at no extra charge. They absolutely nailed it. Best Chimichanga I've had in New England by a mile. The accompanying rice, beans and lettuce rounded out the offering and made it a value even at $13.29. Very well done. The kids seemed to enjoy their meals, devouring the Kids' Chicken Quesadilla (the chicken triggering a $1.49 upcharge) and to a lesser extent, the Kids' Fajitas. The ice cream treat was above average and included a generous helping of vanilla ice cream with chocolate sauce, M&Ms and a cone in a cup. Strange how they're always hungry for that kind of stuff. Total for 2 adults and 2 kids with tip: $42.12. Not bad for a sit down restaurant. We enjoyed our meal at Margaritas and we'll definitely be back. 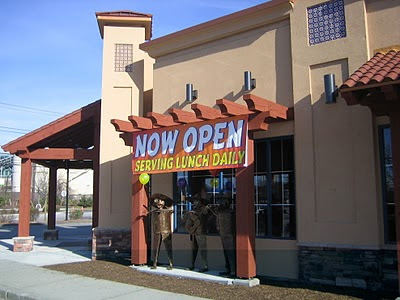 The clean, upbeat, family-friendly atmosphere, superb entrees, and convenient location make it an ideal spot to grab a bite to eat. 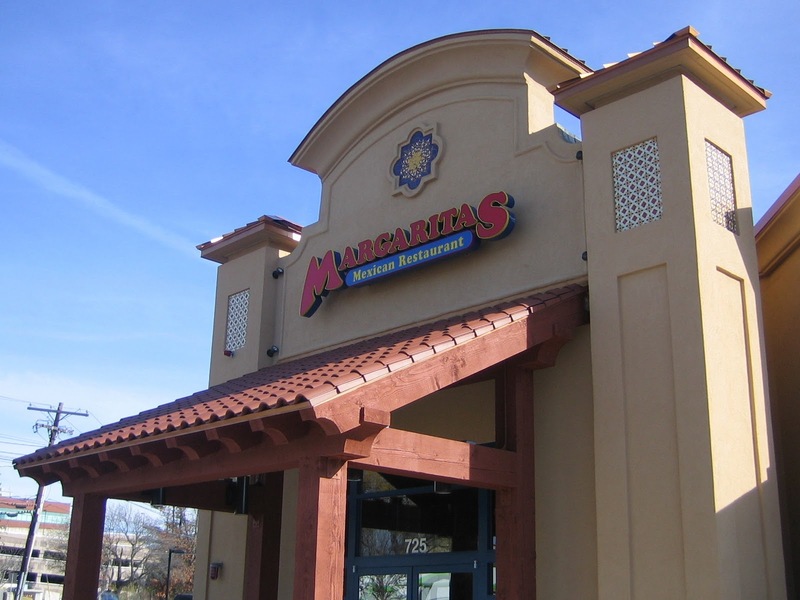 Have you been to Margaritas? If so what did you think? If not, what are some of your favorite sit-down chips & salsa restaurants in the Boston area? 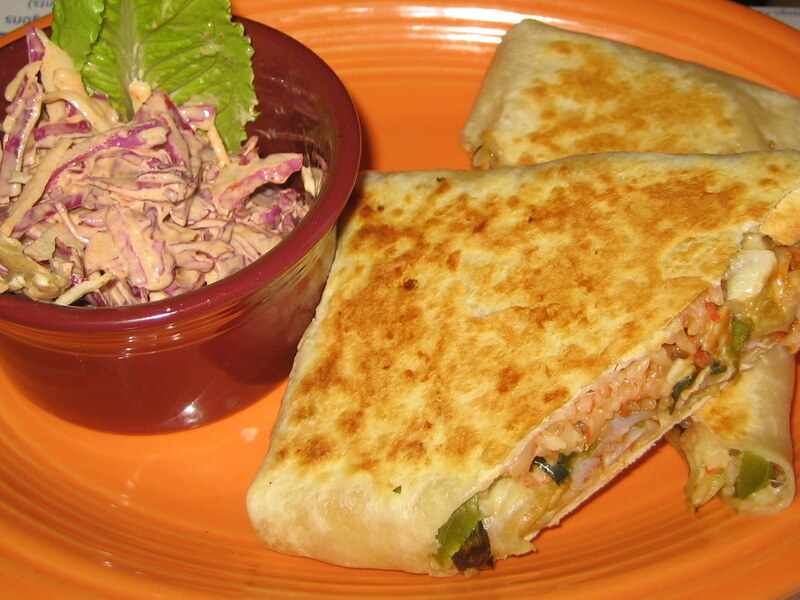 Chicken Quesadilla is my kids' all-time favorite if we speak of Mexican food. We always find time to treat our kids in a Mexican restaurant near our office.